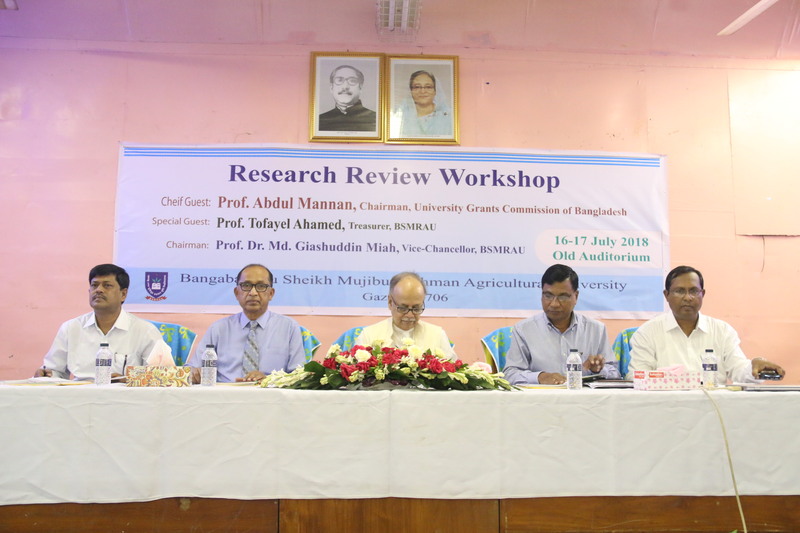 Two days long (16-17 July’18) Research Review workshop of Bangabandhu Sheikh Mujibur Rahman Agricultural University (BSMRAU) has been started today on 16 July’17 at 10-30 a.m. at the University auditorium. 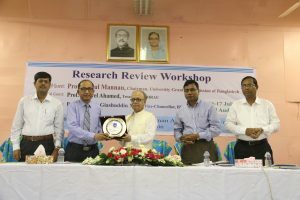 Professor Abdul Mannan, Chairman, University Grants Commission of Bangladesh was present at the inaugural session as chief guest and inaugurated the workshop. Vice-Chancellor of the University Prof. Dr. Md. Giashuddin Miah presided over the inaugural session. 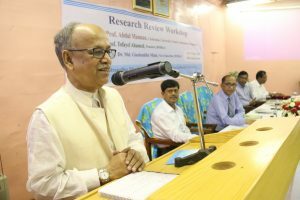 The inaugural session also addressed among others: Treasurer of the university Prof. Tofayel Ahamed as special guest and Director General, BLRI Dr. Nathu Ram Sarker as guest of honor. 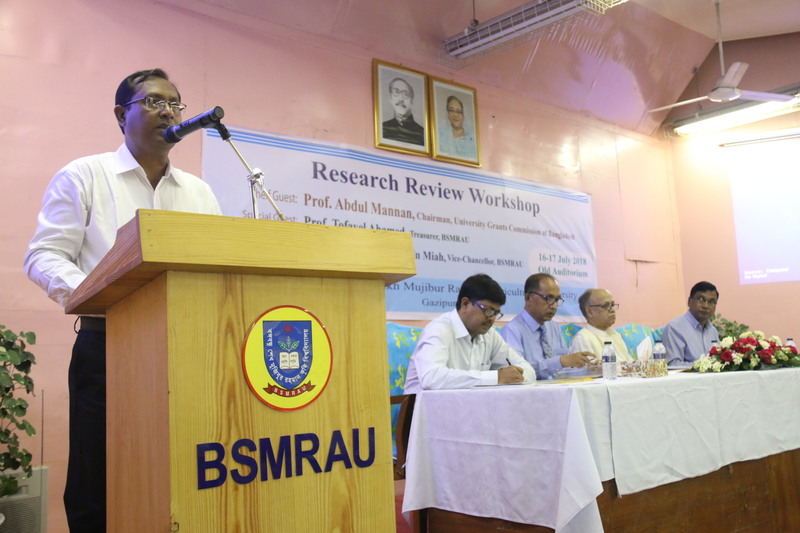 Prof. Dr. A. K. M. Aminul Islam, Director (Research), BSMRAU was delivered the research achievements of this university and welcome address. 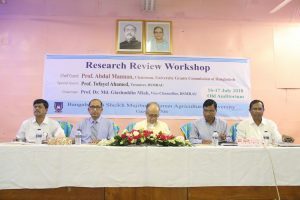 All faculty members and distinguished guests from public university and agricultural research institute were present at that time. 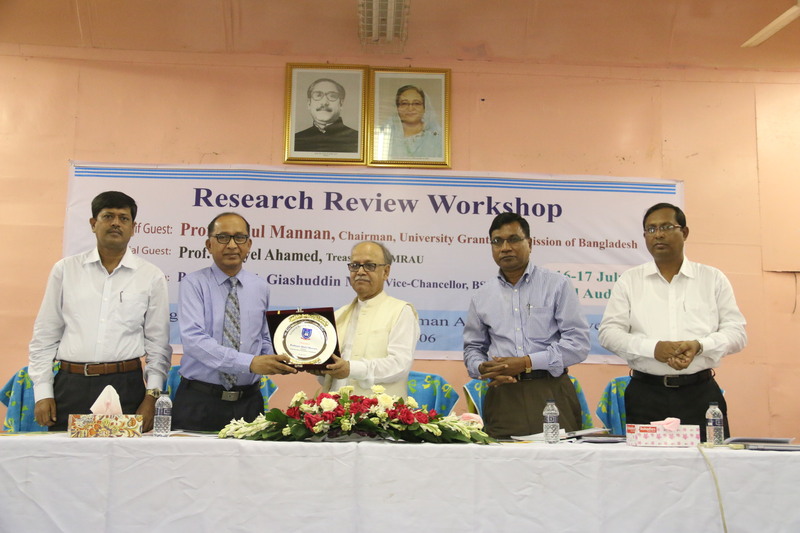 A total of 80 scientific papers were presented through the 06 technical sessions in this workshop. 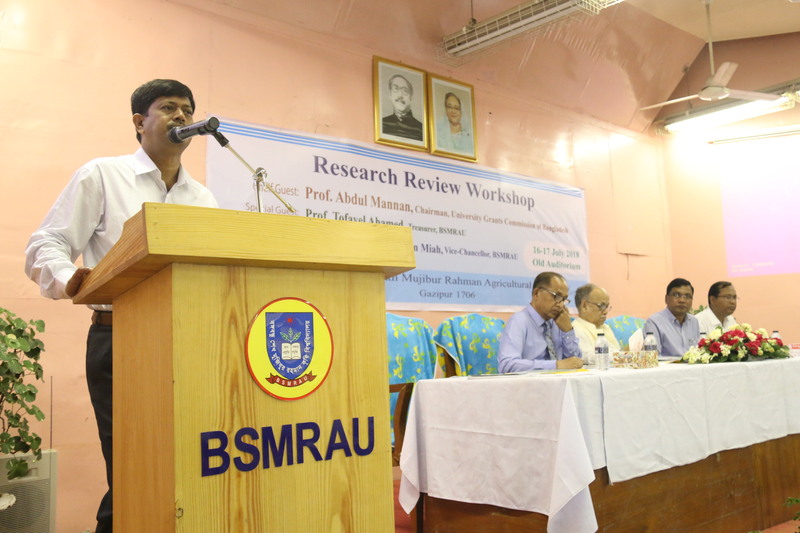 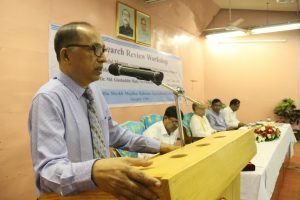 Here are some link which were published in newspaper regarding Research Review Workshop.